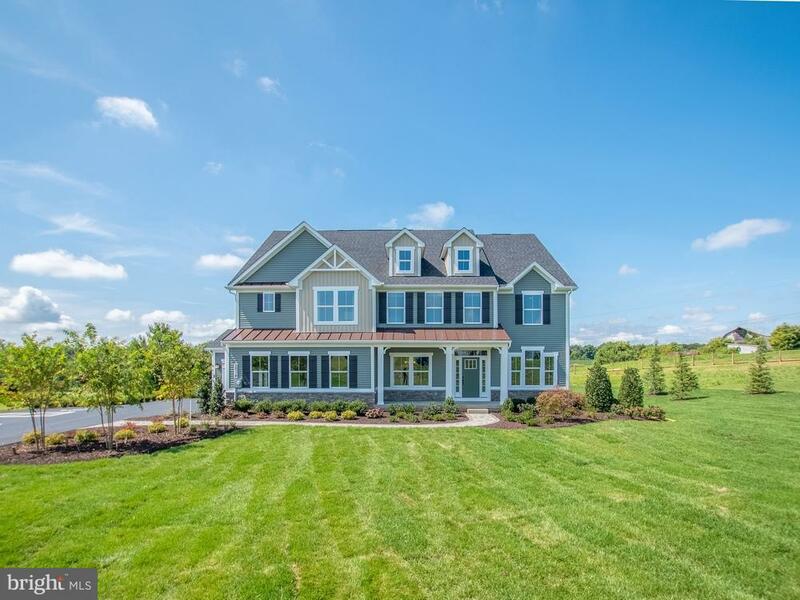 All Mount Airy homes currently listed for sale in Mount Airy as of 04/21/2019 are shown below. You can change the search criteria at any time by pressing the 'Change Search' button below. If you have any questions or you would like more information about any Mount Airy homes for sale or other Mount Airy real estate, please contact us and one of our knowledgeable Mount Airy REALTORS® would be pleased to assist you. 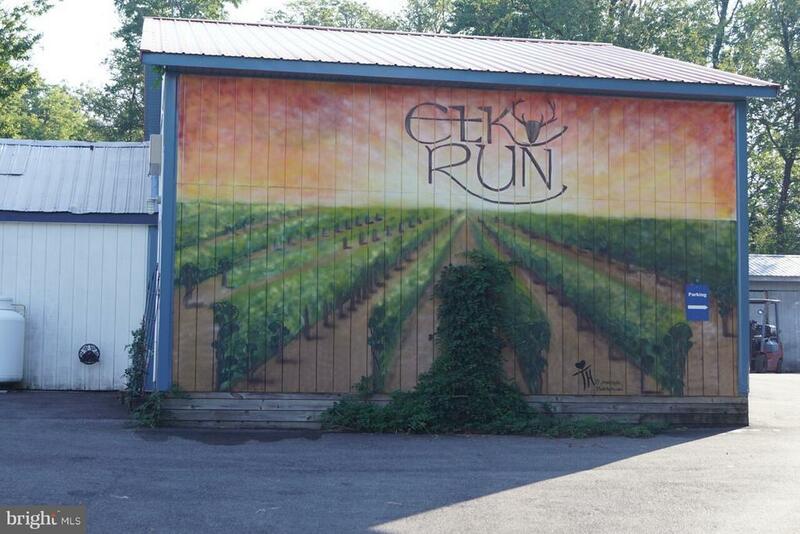 "ELK RUN WINERY WITH DELICIOUS WINES. Property conveys with established agribusiness earnings + annual revenue. Total acreage 42.06-acres. The tasting room and the wine making facility is located on 6.9-acres. Established winery for over 38 years. Beautiful stage is set for music, weekend wedding. One of top rated wineries in Frederick County with 38 years of business experience. Elk Run Vineyards is nestled in the rolling hills of Frederick County surrounded by dairy and horse farms and fields of wheat and corn. Elk Run is named one of the TOP 100 WINERIES on the EAST COAST, USA. The name ~Elk Run~ was chosen for a stream. The deed name to the property is the ~Resurvey of Cold Friday.~ It was a land grant from the King of England to Lord Baltimore. The winemaker~s home is circa 1756. (4 bedrooms main home, 2.5 baths, 3226 SF plus 1349 SF in the basement. Since 1983 Fred and Carol Wilson and Neill Bassford, along with associates, family and friends, have made Elk Run a shining star among American wine producers. Using new world research and technology while maintaining the traditions and values of old world practices, Elk Run~s focus is on producing high quality wine from high quality grapes. Soils of schist and shale allow for deep roots and good drainage. Seven to eight hundred feet elevations help keep the vineyard safe from frost danger. Warm days and cool nights preserve the fruity character in the wines. Practicing sustainable agriculture, close spacing and great attention to crop levels allow the wine maker to create wines of varietal character, structure, balance and good color. Elk Run Vineyards offers a friendly environment for guests to enjoy a conversation and a glass of wine! The owner is the head of the Frederick County Wine Trail which makes her a go to source when asking about local wine events and places to add to your travels. We were very excited upon entry due to the inclusion of two adorable dogs walking through the tasting bar requesting at"
"Incredible home, just 4 years new with every upgrade you can think of. Located on 4.34 quiet acres, overlooking mountains and valleys. By appointment only. Buyer must be prequalified and/or show proof of funds for showing." "Immaculate 27 acre equestrian estate set atop a beautiful hillside in the heart of Mt. Airy. The main home offers over 8,000 square feet of total living space with 5 bedrooms and 4.5 baths and is just 12 years old. The kitchen, which was just remodeled, features new cabinetry, granite countertops, and a custom wine bar in addition to ample space for entertaining. The guest home offers an additional 2 bedrooms and 1.5 baths plus its own separate kitchen, laundry, and living rooms with a private entrance and own patio. There is a massive basement which spans the full length of both homes and features a fitness studio, home theater, and plenty of space for additional bedrooms or your own personal bowling alley. 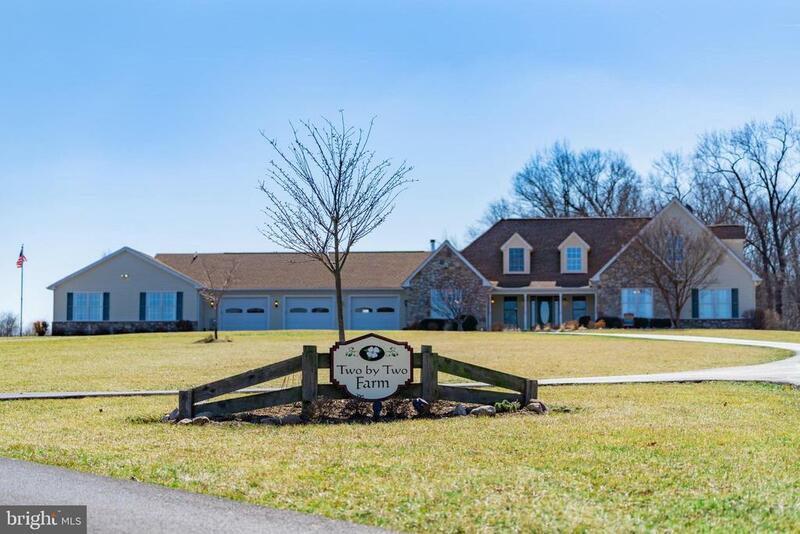 For the horse lover, there is an 8 stall center aisle barn with dutch doors, tack room, and wash stall as well as four safely fenced pastures with board fencing and an all weather round pen. Additionally, there is a two car detached garage which complements the attached three car garage, and leaves plenty of space for storage of farm equipment, a workshop, or for your sports car collection. Please check out the 3D tours of the home and stable." "Van Sant Custom Home Builders. Proudly building America since 1973. Visit our large lots on Harrisville and Woodville Road in Mt. Airy Md. or we can build on your lot. We'll be happy to give you a tour of our current inventory of lots from 1.3 acres to 6.5 acre tracts as well as our in progress homes. We have some great model plans to choose from or bring your own plans. These are custom homes." "Absolutely stunning home rarely available in the premiere neighborhood of Doves Landing. 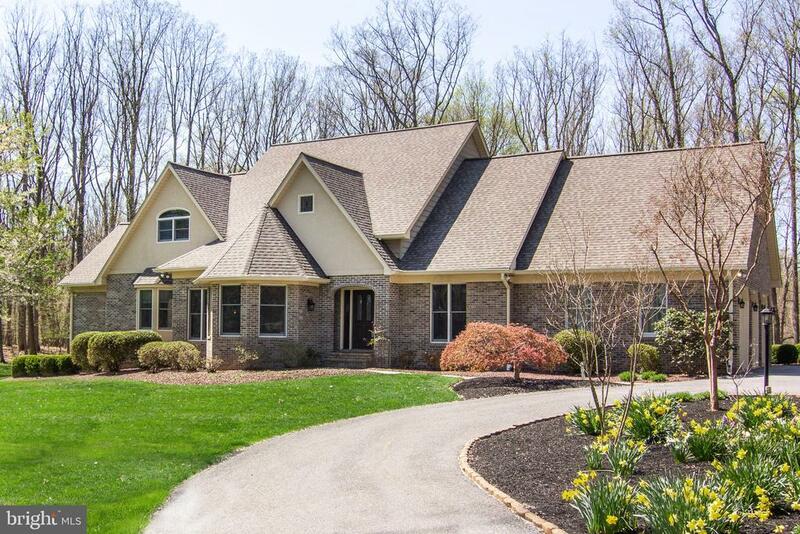 Situated on a premium cul-de-Sac lot that backs to 40+ Acres of wooded county preserve. This home will delight the most discerning buyers with the elegant modern paint palette and fresh updates throughout. Open and Spacious floor plan make this home ideal for gathering and entertaining. Chef~s dream kitchen features an abundance of white cabinetry, professional grade appliances, large island and Gorgeous Quartz Counters. The Master retreat is complete with separate sitting room and luxurious updated Spa Bath. Three additional large Bedrooms and two additional Bathrooms upstairs. Fully Finished Basement with windows, full Bath and walk out door to paver Patio. Multi-level Decks and inviting In-Ground Pool makes this home an entertainer~s paradise! Hard to find level 3-Acre backyard is perfect for practicing your favorite sports! This home is truly a gem ~ the whole family will love!" "Large wooded or clear lots available (6.57 ac to 1.34 ac) to build your custom, dream home on by Van Sant Construction. Connect with us at vansantconstruction for more models, pictures, pricing and sales information. Mount Airy, Md is just minutes away from Baltimore and DC. Great schools and peaceful, country living. Call us today for more information." "New Construction to be built by Rylea Homes!!!! Visit ryleahomes.com to see model options." 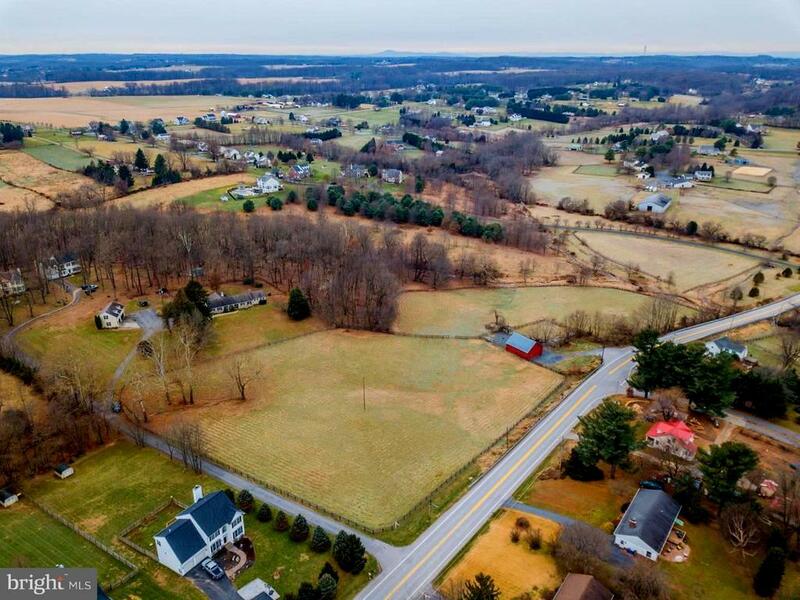 "32 ACRES OF HOWARD COUNTY BEAUTY! THINK ORGANIC, THINK HOMEGROWN, THINK LIVESTOCK, THINK GARDENS, THINK PASTURE, THINK BARNS AND OUTBUILDINGS, AND MOST OF ALL THINK STONE STRUCTURE WITH EXPOSED BEAMS, BEAUTIFUL FIREPLACES, WOOD FLOORS, ENCLOSED PORCHES, AND SLATE PATIO WITH POND. THIS UNIQUE PROPERTY IS CONVENIENTLY LOCATED TO WASHINGTON, BALTIMORE, FREDERICK AND COLUMBIA. PICTURE THE SUNRISE, ENJOY THE SUNSET, RELAX ON THE OUTDOOR HARDSCAPES, PREPARE MEALS IN THE WELL DESIGNED KITCHEN, WORK FROM HOME IN THE GENEROUS OFFICE SPACE, ENTERTAIN YOUR GUEST IN THE RUSTIC SETTING OF THE LOWER LEVEL BAR, TINKER IN THE LARGE DETACHED GARAGE WITH OPEN LOFT, AND ENJOY THE QUIET RURAL ATMOSPHERE OF THIS SCENIC SETTING. WELCOME HOME!!!!!!!" "The to-be-built Versailles at Harvest Ridge! 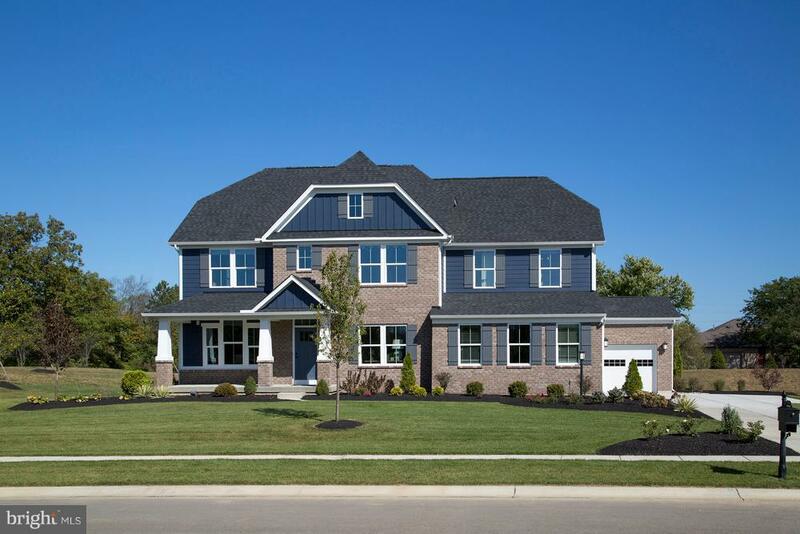 This stunning home offers 5 bedrooms, 4+bathrooms, a two story family room, and 4,165+ sq. ft. of open living space! Choose from an assortment of home sites ranging from 1-3 acres of land! Make this special home yours today! Now offering $10,000 in closing costs assistance through NVR Mortgage! Hours are Monday, Tuesday, Thursday, and Friday 11am to 6pm. Saturdays 11am to 5pm. Sundays 12pm to 5pm. Closed on Wednesdays. Photos are representational only." 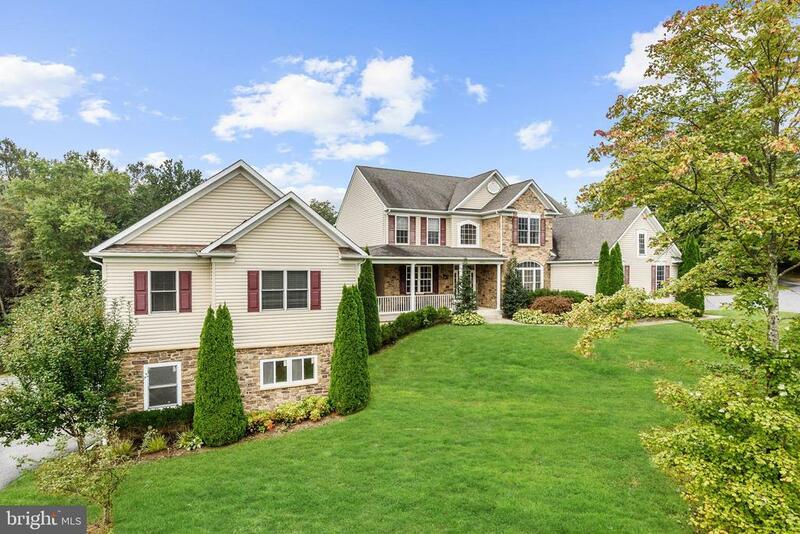 "Make your appointment today to see this stunning 2-story Custom Colonial with approximately 5,200 sq. ft. of finished living space. This includes 5 bedrooms, 4 full baths, 1 half bath, 32' x 22' 3 car garage and finished lower level. Relax and enjoy your coffee in the morning admiring the wildlife on your private 3-acre wooded lot. The gourmet kitchen is perfect for all your entertainment needs. This includes a sub zero refrigerator, granite countertops, stainless steel appliances, recessed LED lighting and island with stovetop. Easy access laundry room on main floor with front load washer/dryer. Upgraded powder room. Lovely 1st floor Master Suite with bay window and window seat w/storage, and direct access to the deck through an atrium door. Recently remodeled master bathroom with expansive glass-enclosed shower and luxurious freestanding tub. Relax in your 1st floor family room while enjoying the wood burning insert. The living room has built-in wooden shelves and hardwood floors. The large dining room with vaulted ceilings and built-in hutch is perfect for all family gatherings. Impressive 2-story foyer. Hardwood floors throughout most of the 1st floor, as well as the upper floor loft/sitting room and upstairs hallway. 2 of the 3 bedrooms on upper level have walk-in closets and full baths. The lower level provides a large family room/rec room, wet bar with granite top, fitness area and 5th bedroom with upgraded full bath - perfect for a Millennial Suite. Enjoy the sunset from the 24' x 24' wooden rear deck ideal for entertaining. Gorgeous detailing throughout this home. Circular driveway with extensive landscaping. Improvements consist of new roof/gutters 2015, refinished Dryvit on front of house 2016, refinished Dryvit on outside of chimney 2019. Other upgrades/improvements consist of water softener, neutralizer, sump pump and heat pump. Plenty of storage space. This home is gorgeous and move-in ready." "Price reduction! MOTIVATED SELLERS! 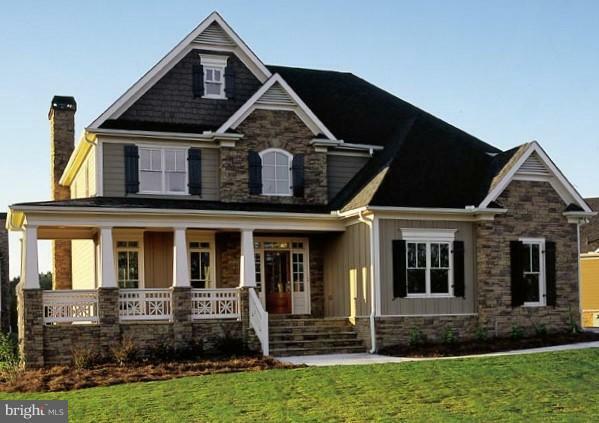 Come see your future forever home that is surrounded by wineries and golf courses in Mount Airy, Maryland. 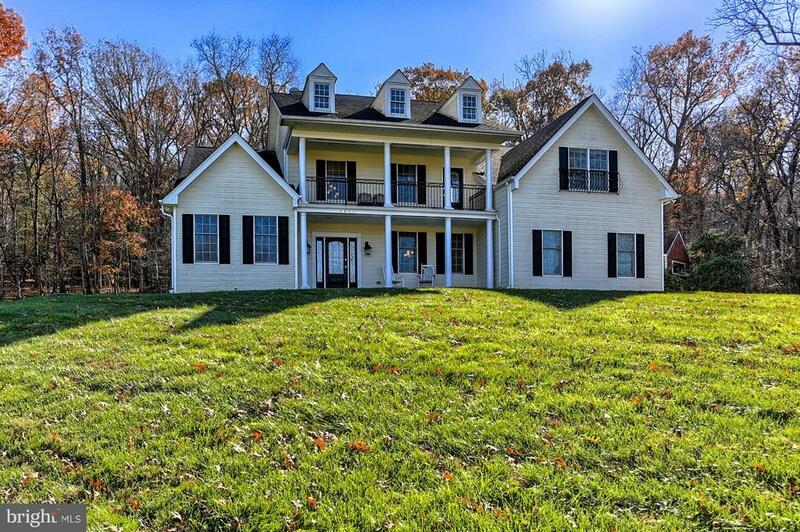 This beautiful five bedroom home sits on nearly 8 acres of privacy being surrounded by forest. Newly installed wood floors on main level and a freshly renovated kitchen. Laundry on both floors allows you to avoid carrying loads of laundry up and down the steps. The lower level is the perfect space for entertaining with more than enough room for both a pool table and ping-pong table. 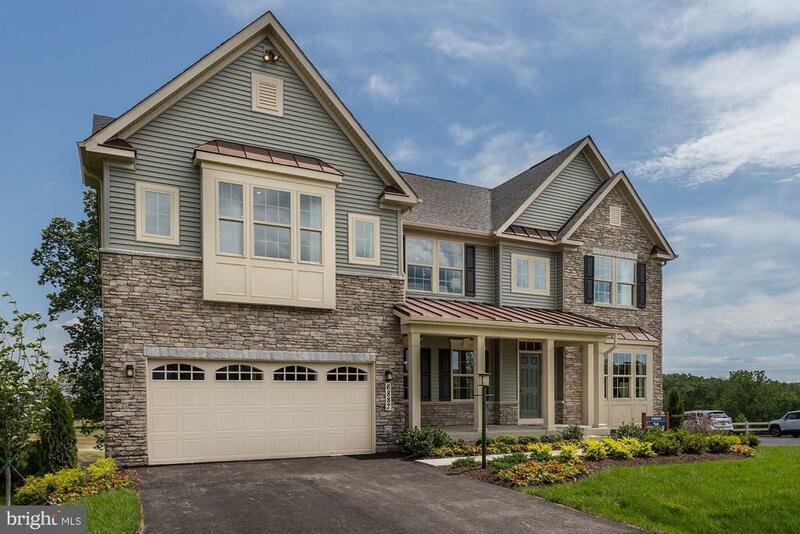 Even with the seclusion of the woods it is still only a 30 minute drive to the growing city of Frederick, 20 minutes to the cute town of Westminster and 34 minutes to the Owings Mills Metro Station. You have to see this house with your own eyes to truly appreciate it." 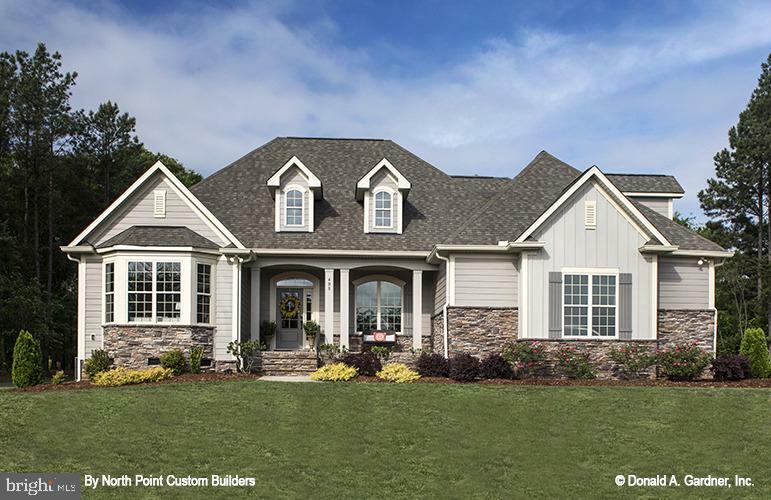 "Van Sant Custom Home Builders. Proudly building America since 1973. Visit our large lots on Harrisville Road in Mt. Airy Md. or we can build on your lot. Call our listing agent for a tour of our current inventory of lots from 1.3 acres to 3 acre tracts as well finished homes. We have some great models to choose from or bring your own plans." "The to-be-built Normandy at Harvest Ridge! Offering 4 bedrooms, 3.5+ bathrooms, and 3,765+ sq. ft. of open living space. Choose from an assortment of stunning home sites all with over an acre of land! Now offering $10,000 in closing costs! (Photos are representational). Hours are Monday, Tuesday, Thursday, and Friday 11am to 6pm. Saturdays 11am to 5pm. Sundays 12pm to 5pm. Closed on Wednesdays." 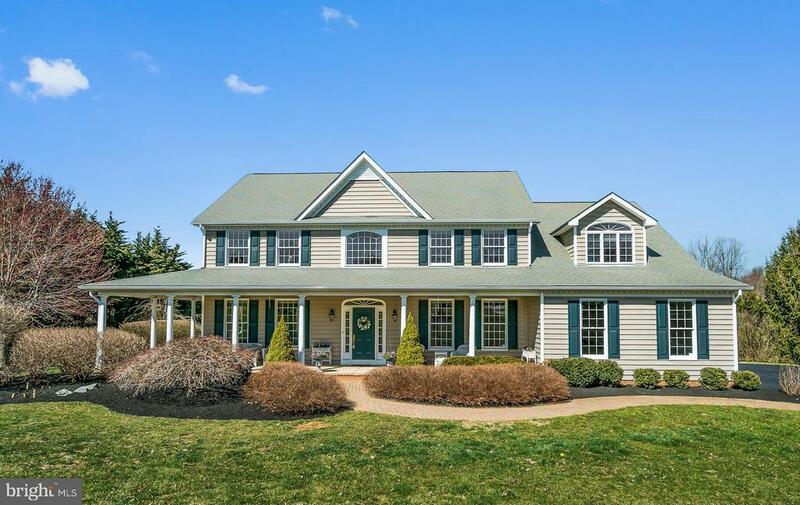 "Exceptional Colonial! Gleaming HW Floors, Neutral Colors & Light Filled Interiors. Spacious Living RM & Dining Rm. Eat-in Kit with Island, Breakfast Car & Casual Dining Area. Family Rm off the Kitchen with FP. Master with Spa-like FB. Finished LL with Rec Rm, Media Rm & Bonus Rm. ML In-Law Suite with Kitchen, 2 BR's- FB, LR,DR, Deck, Private Entrance, 2-Car Garage & LL FR. Private Backyard with Deck and Backs to Trees!" 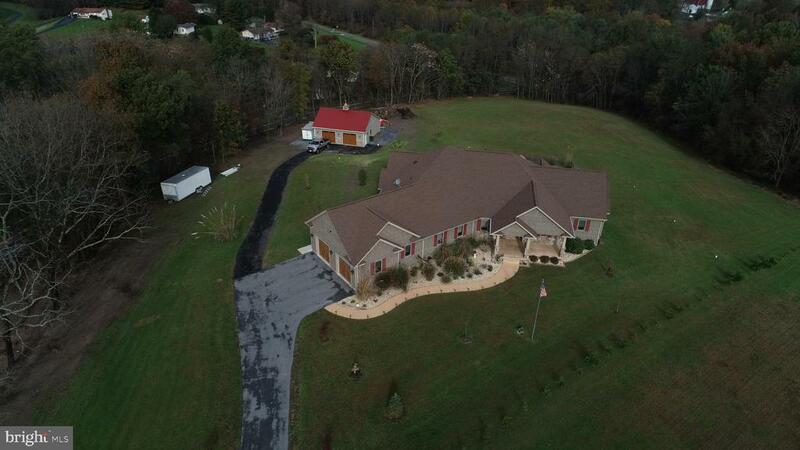 "Here is your opportunity to live in rural Carroll County on 1.75 acres with no HOA. 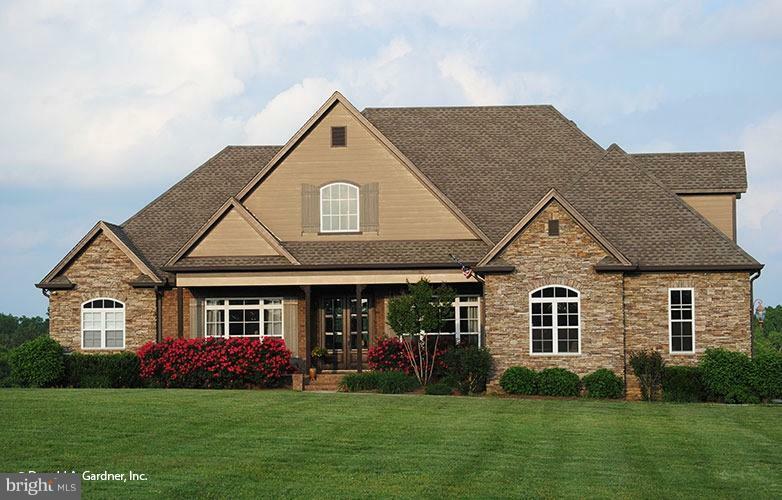 This home offers many upgrades from the normal builder grade that is offered in many homes. There is beautiful moldings and hardwood floors, recessed lighting, and solid doors throughout. Spacious 1st floor master bedroom offers 2 walk in closets and large master bath with separate shower.Upper level bonus room could be used as a 5th bedroom. All bedrooms have their own bathrooms. Gourmet kitchen with granite counter tops, ceramic back splash, stainless appliances, walk in pantry. Unfinished basement offers a rough in for a bath and large walk up entry way that leads to a large paver patio. This is a property that you really need to see to appreciate the spacious rooms and the detail such as the chandelier lift for cleaning or light bulb changing ease." "Gorgeous 4 bedroom, 4.5 bath home in Manorwoods, a Rattlewood Golf Community! 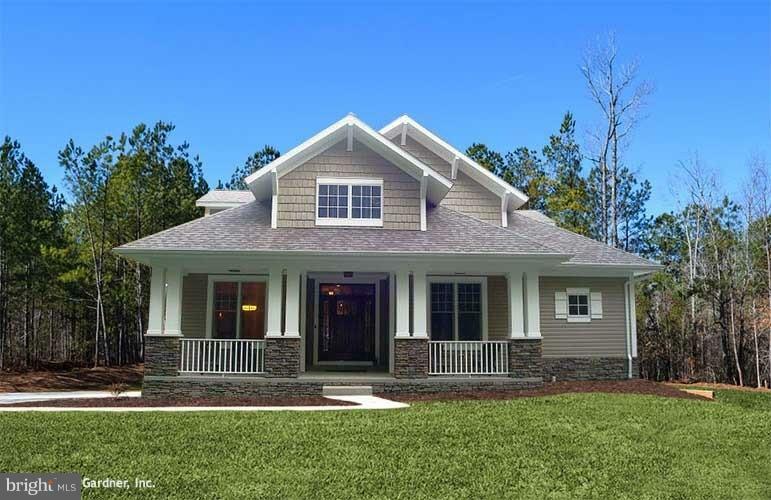 Features include: 2-story family room with gas fireplace, gourmet kitchen with large island, Corian counters, stainless steel appliances, huge pantry, new back splash, and morning room, that walks out to an inviting screened in porch. Two-tiered deck overlooking the large, private backyard. The main level has a separate office with french doors, separate dining room & separate laundry room. Master bedroom has vaulted ceilings and 2 walk-in closets. Master bath has large double vanity and soaking tub! Lower level has a 2nd family room, full bath and does walk out to the backyard. The HOA fee includes the community pool & tennis! Shows beautifully!" "Huge price drop!!!! 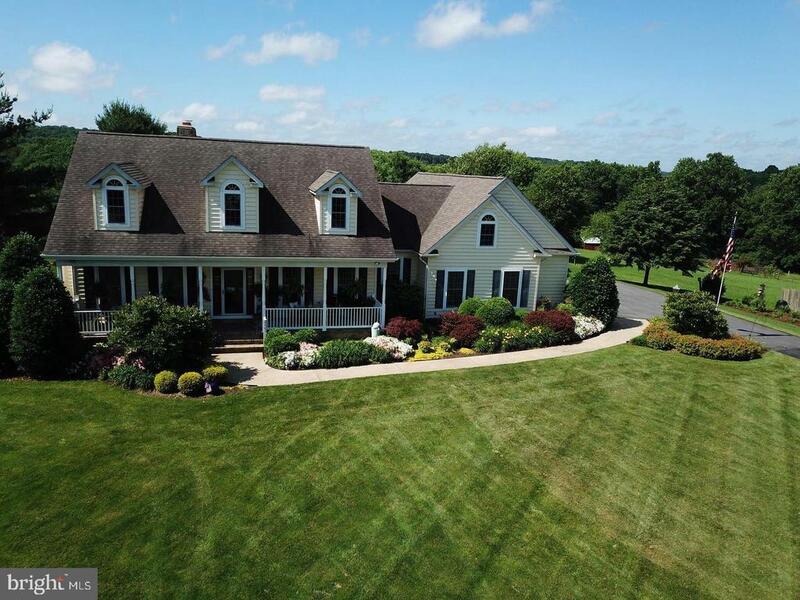 This beautiful Cape Cod, on two acres, has 6 bedrooms with 3 full and 2 half- baths in two complete living spaces, including two kitchens and two master suites with walk-in closets. The upstairs (first floor) master features a spa tub and separate shower, while the downstairs master cones with a separate shower and tub. 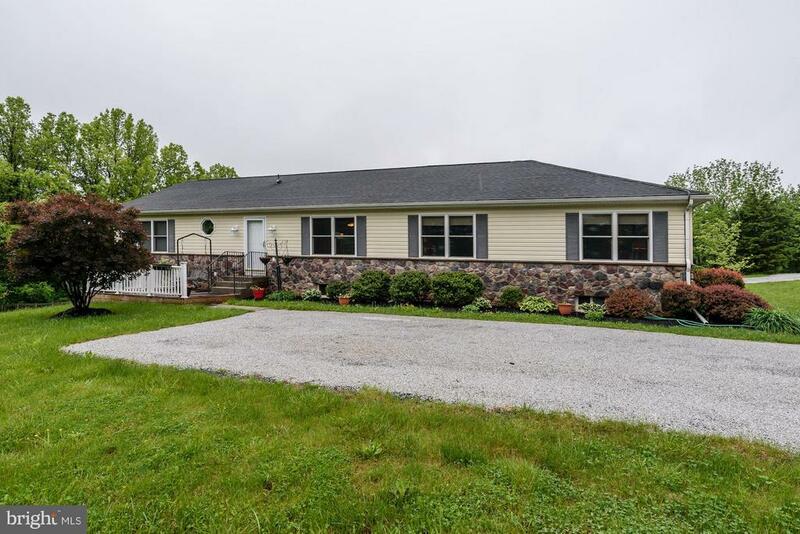 The 2 x 6 constructed custom home has many desirable features: Rectified porcelain tile upstairs, Andersen windows and French doors which lead out to the back deck on the first floor, and from the walk-out basement in the downstairs living area. Two bonus rooms, one above the garage and the other in the basement, provide options for a media room, office, or storage. The fireplace downstairs is a wonderful gathering place on winter evenings. The first floor has a generator with a separate electrical panel and is activated by a switch, when needed. From the over sized front porch, enjoy the beautiful, professionally-landscaped grounds, which also include an outbuilding, in the back. From the upstairs back deck, keep track of the humming birds, deer, and other animals who live nearby. 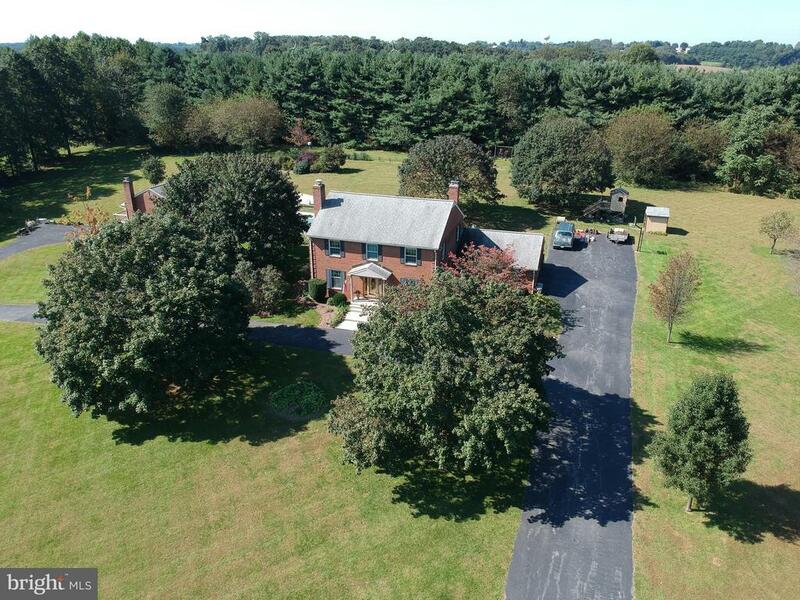 This 2.005 acre property, located near I-70, is an easy commute from Baltimore or Washington. While it is offered as one parcel, two adjacent parcels, one with another home, are also available for additional purchase, making a total of 11.93 acres. 6th bedroom/office." "Bring your most meticulous buyers! Owner has left no stone unturned with this custom built estate. 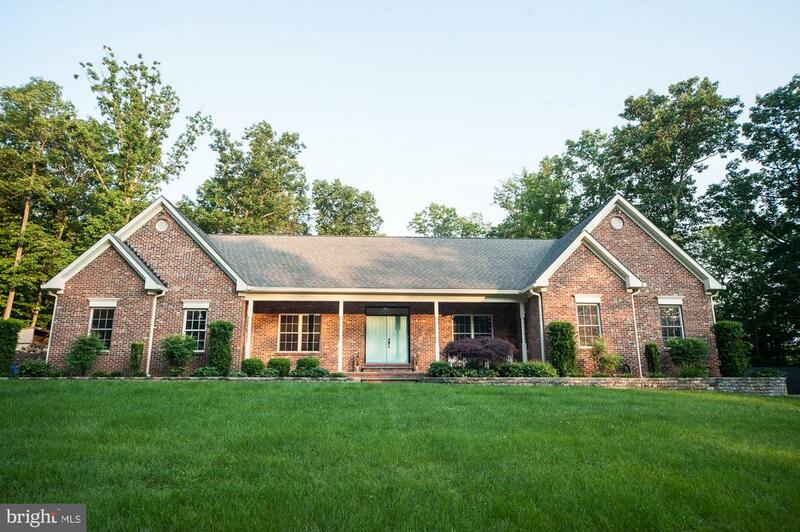 Property includes an all brick main house with 2-car garage (~24 x ~24), as well as a ~40x~25 all brick pool house with an additional un-finished basement AND 2-car garage. Attention to detail is evident from the moment you walk in the door! You cannot find value to match the energy savings here, as the owner has invested in high quality insulation (R19) and (R6) sheathing, as well as (R13) insulated interior walls. The roof was also replaced in 2003 by S&K Roofing with 30-year shingles. Further energy saving features include Andersen Thermopane Windows, Andersen storm windows, dual-zone heating with high efficiency Carrier heat pumps that include (2) programmable thermostats, in addition to a whole house fan. Upon entering the home, the stunning oak hardwood floors and staircase greet you as the natural light surrounds you. 3 nicely sized bedrooms are upstairs with 2 full baths, 1 additional bedroom on the main level, along with a powder room. The upper level features a master bedroom suite with 2 walk-in closets, one of which is lined with cedar. You most certainly will enjoy the warmth of the flash heaters in the master bedroom suite and the personal space of double vanities. This kitchen wows with stainless steel appliances, granite countertops, ceramic floors and an inviting wood stove. The separate dining room flows nicely through to the kitchen for ease of transferring food and guests and is just a few steps away from the cozy living room. An unfinished basement awaits your imagination with 3 separate entrances, and a rough-in for a bath. Convenience features abound here like the 3-level laundry chute, gas fireplace in living room, basement root cellar and underground dog fence. **Expansive 5.5+ acres**Horses welcome! ** Or enjoy the view of your neighbors horses from your oasis. Behind your main house you will find your ~14 x ~38 in-ground concrete pool with sur"
"The to-be-built Corsica at Harvest Ridge! Features over 3,300 finished square foot, 2 car garage, 4 bedrooms 3.5 baths, gourmet kitchen, luxury interiors and much more. NOW $10,000 CASH with use of NVR Mortgage! Images shown are representative. Hours are Monday, Tuesday, Thursday, and Friday 11am to 6pm. Saturdays 11am to 5pm. Sundays 12pm to 5pm. Closed on Wednesdays." "BACK ON MARKET!!! Don't stick your parents in a room, when they can have their own house. 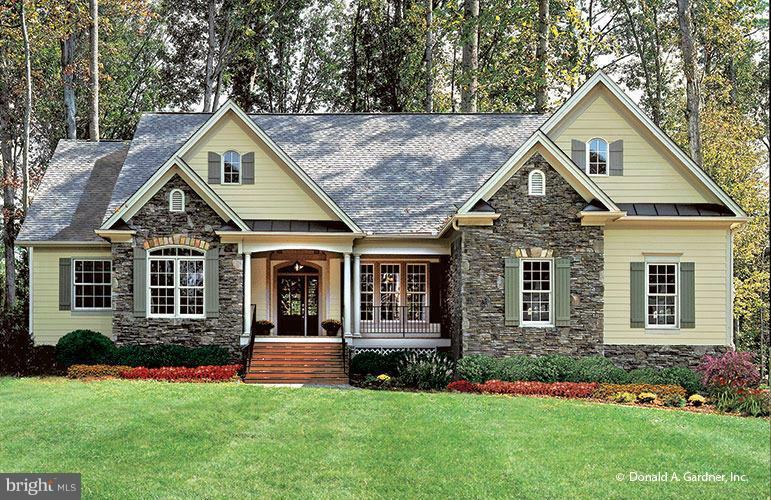 Great multi-generational home for the whole family! The homes are joined by a Morning Room/Breeze Way, surrounded by windows & drenched with sunlight! These Open-Concept homes, both have granite, stainless steel appliances, hardwood floors, finished walk-out basements w/9~ ceilings, huge 3-car garage, & humidor room. 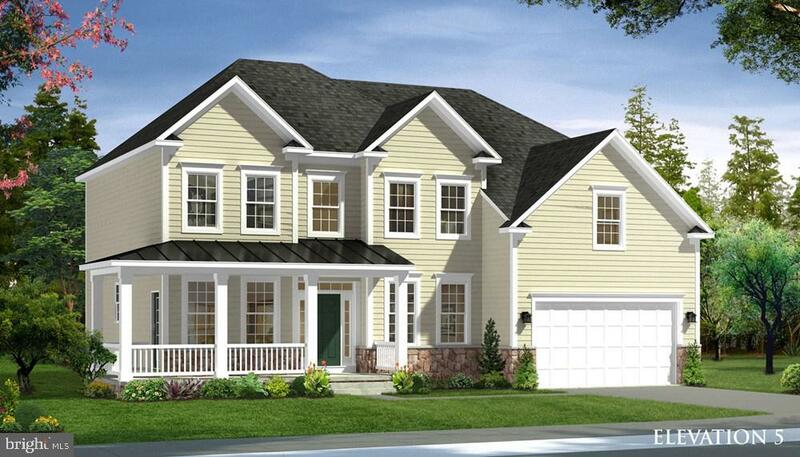 Each home has 3 bedrooms and 3 full-bathrooms...making it a 6 bedroom 6 bathroom home. All this situated on 3 acres! Must See. OR, you can use this as an income property."